Many people choose Greek yogurt because it tastes better. Many more people choose Greek yogurt because the most popular brands of the product include a range of many different strains of living, probiotic bacteria, not just one or two. And still more people should choose Greek yogurt because of a combination of well-established and recent research that shows it can fight skin problems, including acne. Greek yogurt is yogurt that has been strained through a cloth or a filter to move the watery whey that usually sits on the top of other kinds of yogurt. 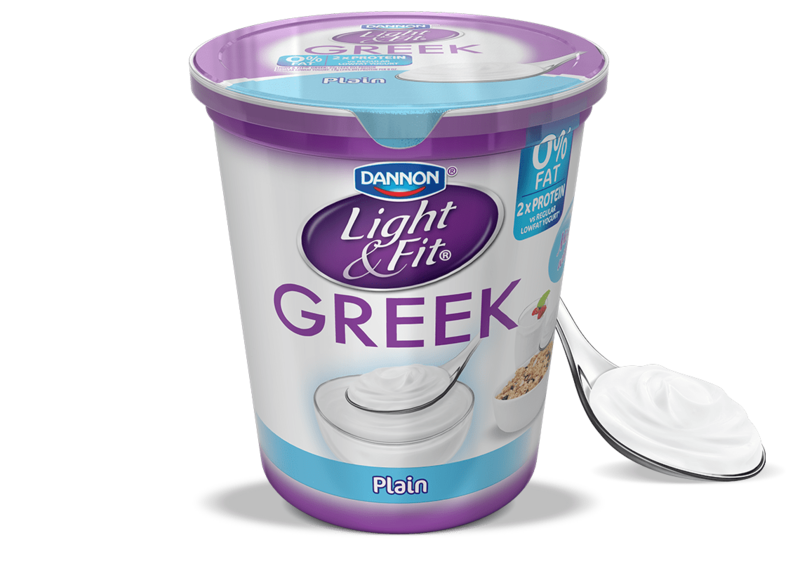 The filtration process gives Greek yogurt a consistency like cheese while preserving the sour taste of yogurt, and concentrates protein while reducing sugar and sodium. What Does Greek Yogurt Have to Do with Acne? Over 80 years ago two scientists named John Stokes and Donald Pillsbury showed that most people who had acne also had inadequate secretion of stomach acid. Not having enough acid in the stomach to kill disease-causing bacteria allowed these pathogenic microorganisms to establish themselves in the small intestine. By inflaming the lining of this part of the gut, they made it possible for inflammatory substances to leak through the intestinal wall. The process of inflammation caused weight gain, fatigue, and depression. After there were hormonal changes in the brain, there was also inflammation in the skin in the form of acne. The “bad bacteria” that established themselves in the lower digestive tract did not actually migrate to the skin to form pimples. These bacteria simply started a chain of events that increased the oil in the skin and the formation of whiteheads and blackheads. Low levels of acidophilous bacteria, these scientists found, not only caused acne outbreaks, they also increased the depression that so often accompanies acne. The findings of Stokes and Pillsbury were not considered especially important at a time when famine and war were more pressing issues. Their studies were neglected until 2010, when they were rediscovered by two more scientists, Whitney Bowe and Alan Logan of the State University of New York Downstate Medical Center in Brooklyn and the Integrative Health Centre in Toronto, respectively. Reconsideration of the original research into probiotics and acne led Bowe and Logan to identify a gut-brain-skin axis of acne and acne treatment. Increasing the number and the variety of helpful bacteria entering the gut decreases the number and activity of pro-inflammatory bacteria. What scientists know today that they did not know in the 1930s is that a variety of probiotic strains, not just Lactobacillus acidophilous, is best for controlling inflammation that begins in the digestive tract. What’s Special About Greek Yogurt? Why is Greek yogurt better than other kinds of yogurt for restoring the probiotic bacteria in the digestive tract that reduce acne inflammation? There are two main reasons. As stated earlier, Greek yogurt contains both a greater count of living bacteria and a greater variety of probiotic bacteria than other yogurt products. And because Greek yogurt is strained, it contains more protein, especially the lactoferrin that makes yogurt even more beneficial. How Do You Use Greek Yogurt to Fight Acne? While you could make a Greek yogurt mask to apply directly to your skin and get immediate results, the best way to use Greek yogurt is to eat a small serving two or three times a day. Eating Greek yogurt regularly ensures that you have helpful probiotic bacteria in your system at all times, and slowly helps you get rid of acne for good.